Kids' Party Entertainments > L.H.U. 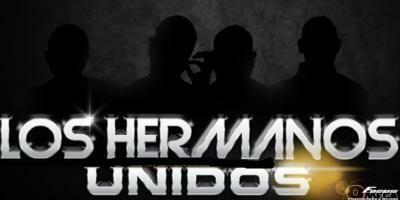 Los Hermanos Unidos is a group of emerging artists from MA that prides itself on QUALITY Latin American entertainment to include; our UNIQUE style of Reggaeton combined with our catchy lyrics and some R&B flavor added to it, also incorporated with live percussion such as congas, timbales, bongos,guiro etc... Our style is unique and original, We will provide TOP QUALITY ENTERTAINMENT since we are interested in bringing our fans nothing but good quality music that everyone can enjoy,GREAT MUSIC TO DANCE, easy listening, and perfect sound. We would love to spice up your special occasion!! Feel free to contact us for any type of events!!! You won't be disappointed! the rhythmic melodies from our beats combined with the flavor of live percussion plus our catchy lyrics will bring a lot of excitement to the audience!! and the most IMPORTANT thing you will get TOP QUALITY ENTERTAINMENT without having to spend a fortune! NOTE: Please listen to some of our audio samples to be sure you like our music, Thank you!! REGGAETON: is an urban form of music which has its roots in Latin and Caribbean music. Its sound derives from the Reggae en Español from Panama. The genre was shaped and made known in Puerto Rico where it got its name, REGGAETON blends Jamaican musical influences of dancehall, with those of Latin America, such as salsa, Latin hip hop, and electronica. Vocals include rapping and singing, typically in Spanish. Lyrics tend to be derived from hip hop rather than from dancehall. While it takes influences from hip hop and Jamaican dancehall, reggaeton is not precisely the Hispanic or Latin American version of either of these genres; reggaeton has its own specific beat and rhythm. 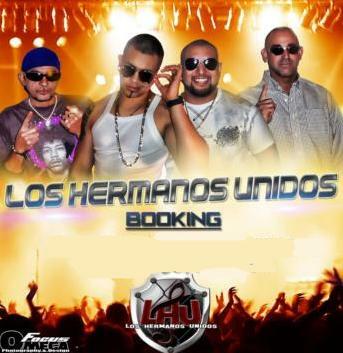 Los Hermanos Unidos es un grupo de artistas emergiendo de MA que se especialisa en entretenimiento Latino Americano de alta calidad, inclullendo nuestro propio estilo de Reggaeton combinado con nuestras rimas pegajosas, con un toque de R&B, tambien incorporamos percussion en vivo como, congas, timbales, bongos, guiro, etc... Nuestro estilo es unico y original. Nosotros aportaremos entretenimiento de alta calidad ya que estamos interesados en brindar a nuestros fans musica de alta calidad que todo mundo pueda disfrutar musica fasil de escuchar, no liricas vulgares, y musica perfecta para bailar!!! contamos con todos los requisitos para crear un gran ambiente en tu fiesta! sientete libre de contactarnos para cualquier tipo de eventos, no te arrepentiras! el ritmo de nuestras melodias combinado con el sabor de la percussion en vivo mas nuestras rimas pegajosas activara a toda la audiencia, y lo mas importante es que reciviras entretenimiento de alta calidad sin tener que gastar una fortuna! Please note L.H.U. will also travel to Easthampton, Holyoke, Westfield, Northampton, Chicopee, Florence, South Hadley, West Springfield, Woronoco, Huntington, Leeds, Russell, Springfield, Worthington, Feeding Hills, Granby, Haydenville, Agawam, Hadley, West Hatfield, Blandford, Chesterfield, Hatfield, Indian Orchard, Southwick, Williamsburg, Chester, Ludlow, North Hatfield, Longmeadow.